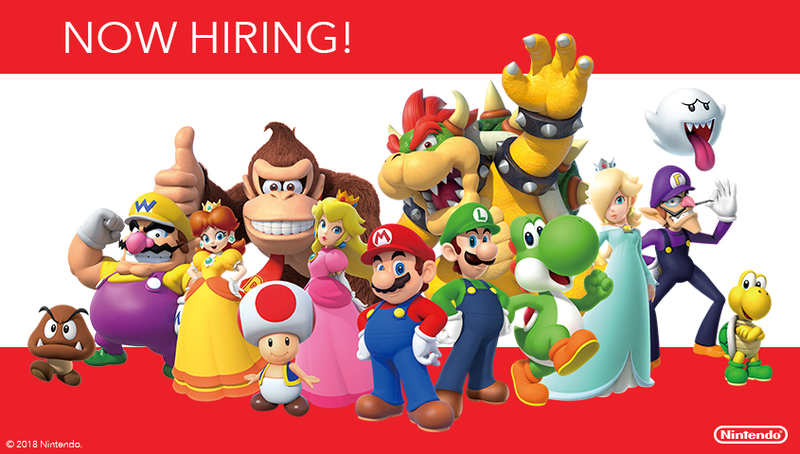 Nintendo of Canada is hiring! Join our Nintendo Brand Ambassador Team Today! We are currently looking for energetic brand ambassadors in the greater Vancouver, Toronto, Ottawa, Calgary, Montreal and Edmonton areas to support our exciting activities throughout the summer. As a Nintendo Brand Ambassador, your main responsibility is to create smiles by sharing the Nintendo experience at our events! We are looking for brand ambassadors who can represent Nintendo with enthusiasm and have a customer service mentality. You must be self-motivated, responsible, and comfortable interacting with kids and families. “Nintendo BA Application- (Your city)”. In your cover letter, tell us why you are interested in the position and which Nintendo Switch game you would play with your friends & family and why. All applications must be submitted to us by June 8, 2018. We look forward to hearing from you!